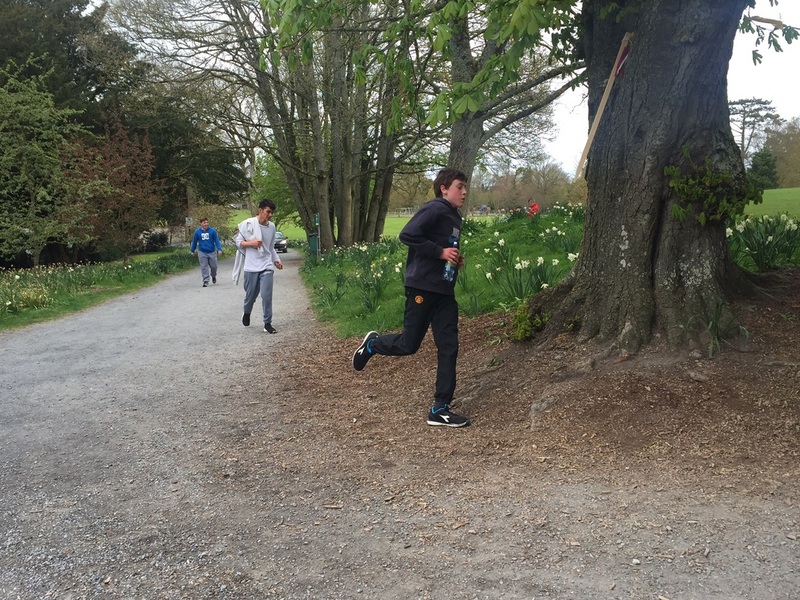 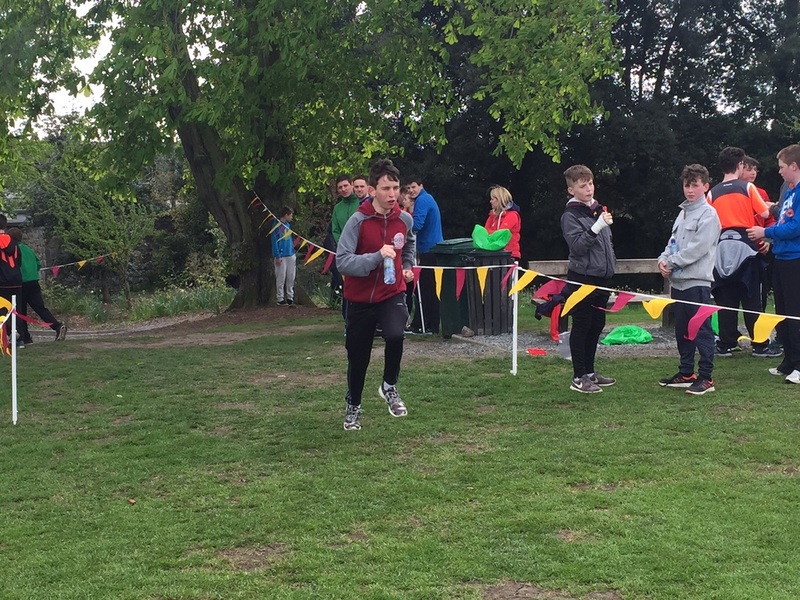 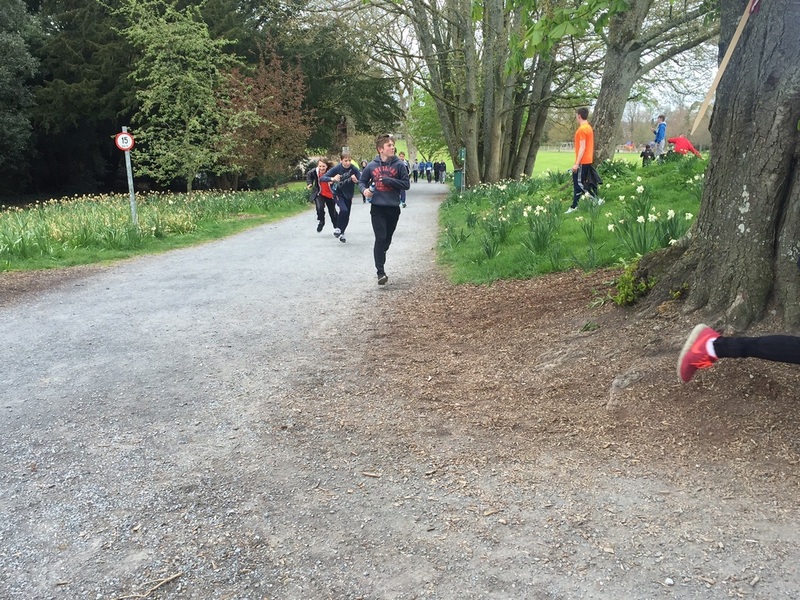 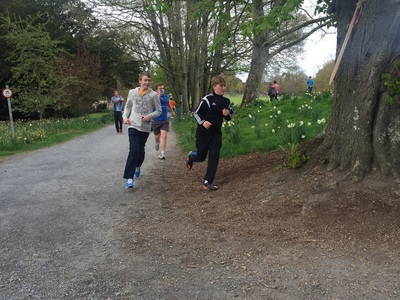 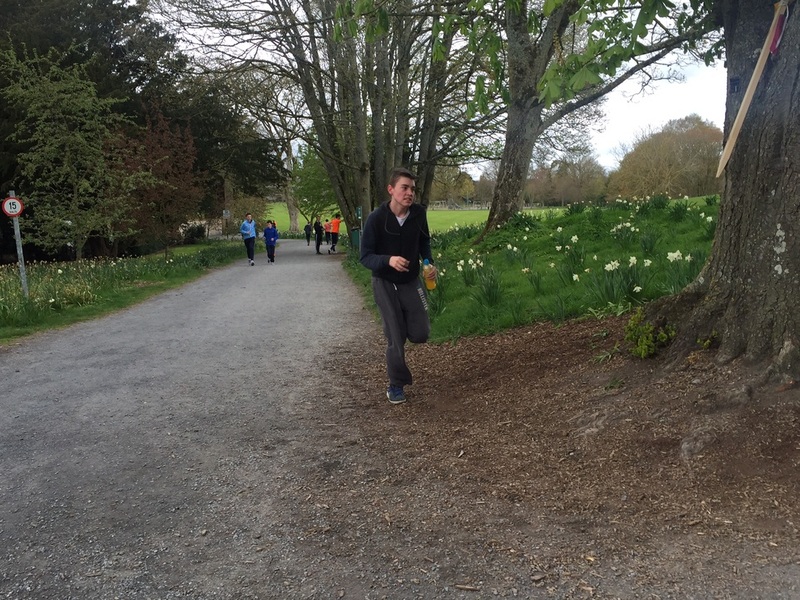 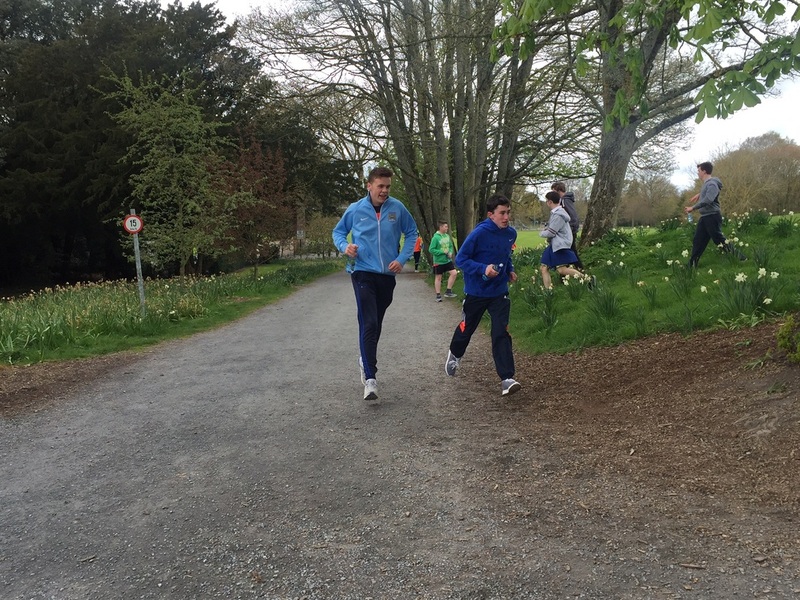 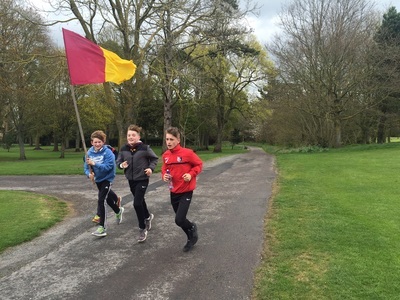 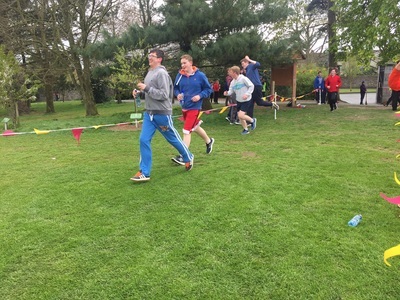 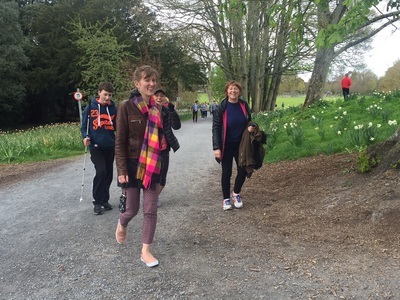 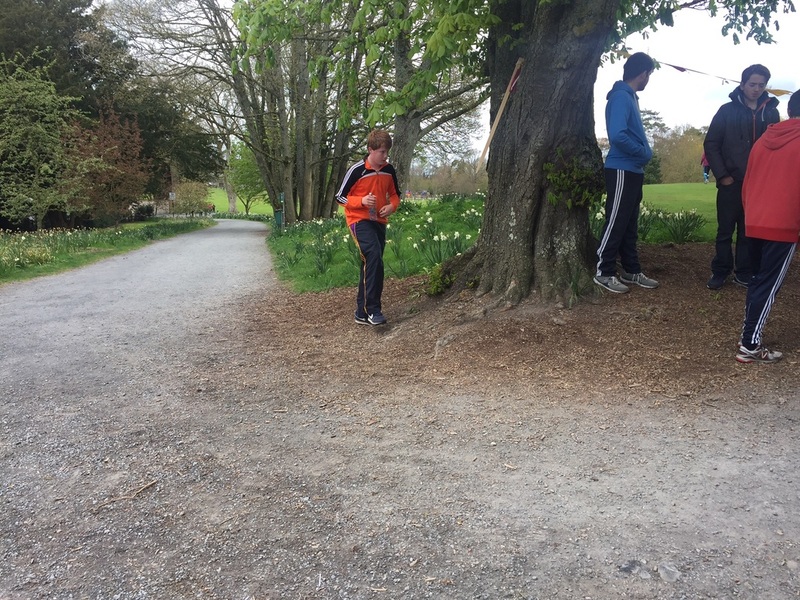 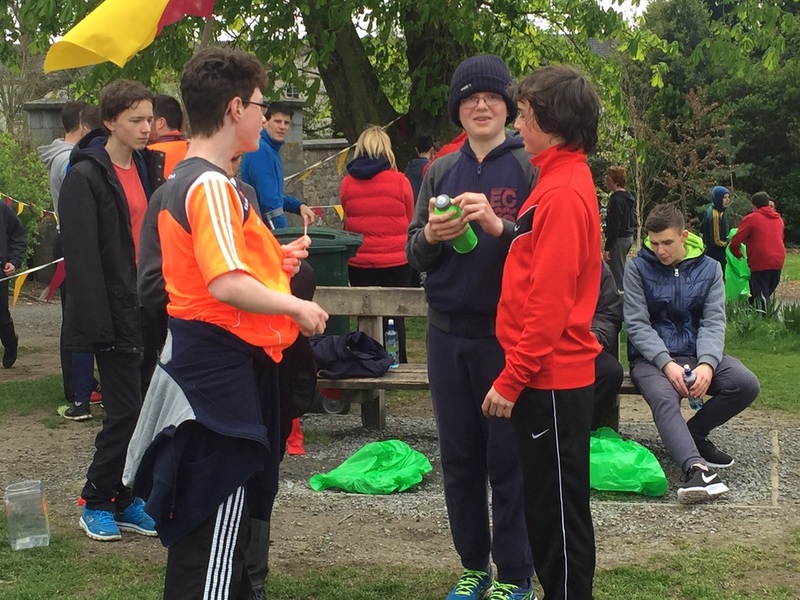 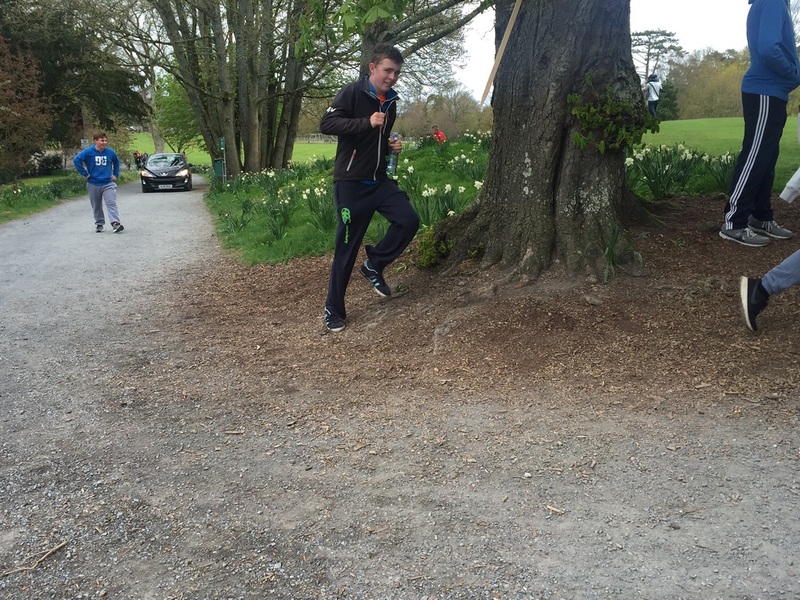 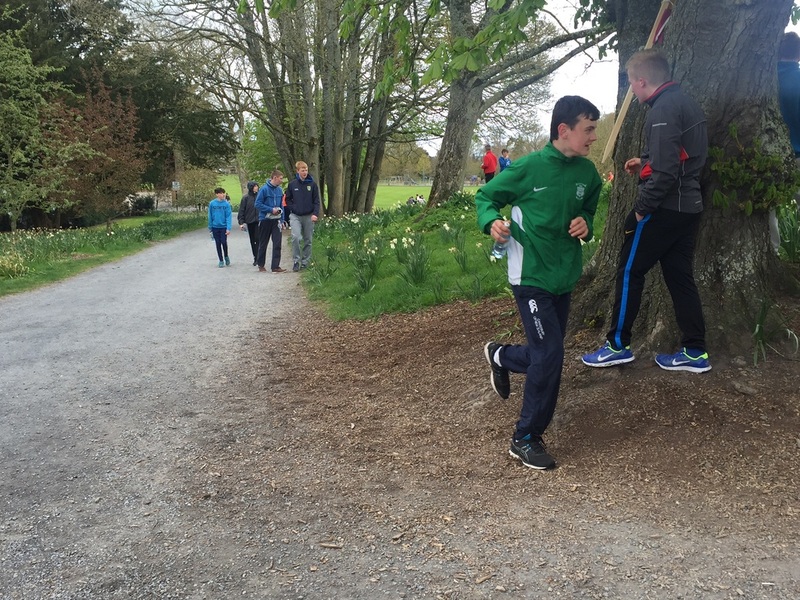 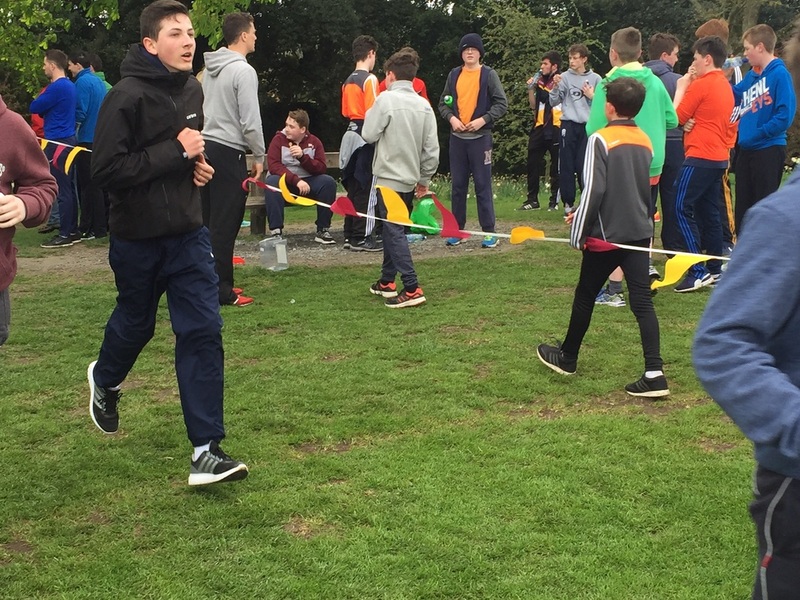 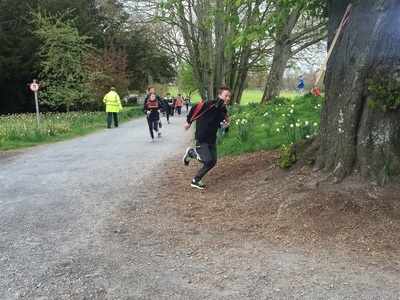 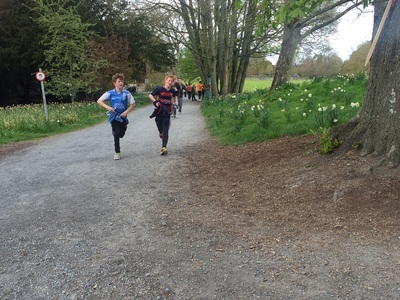 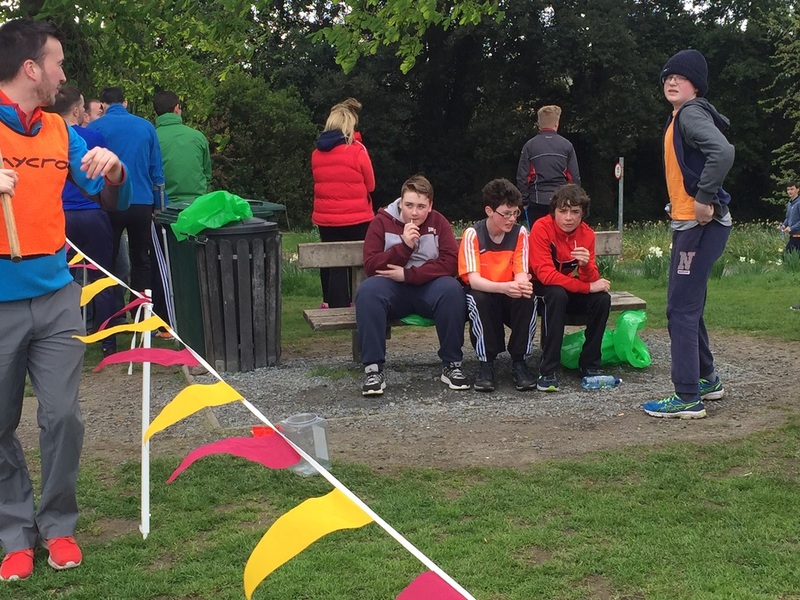 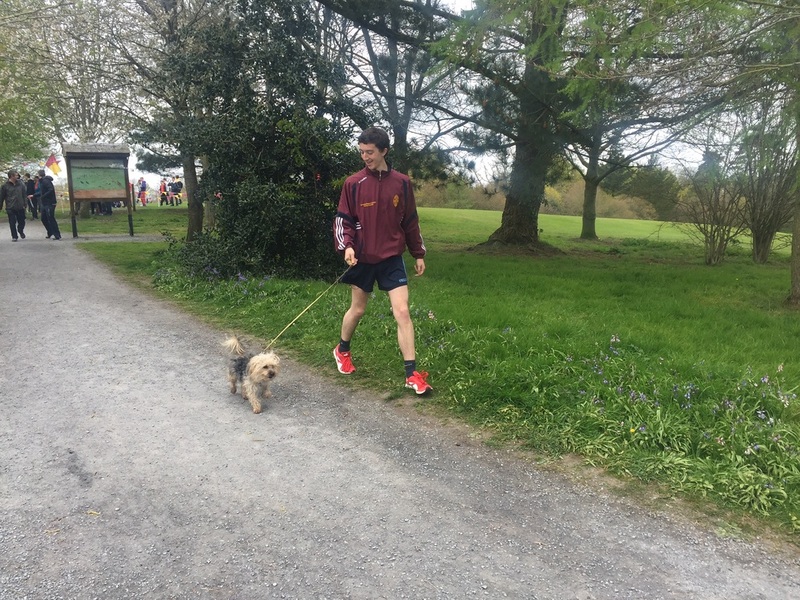 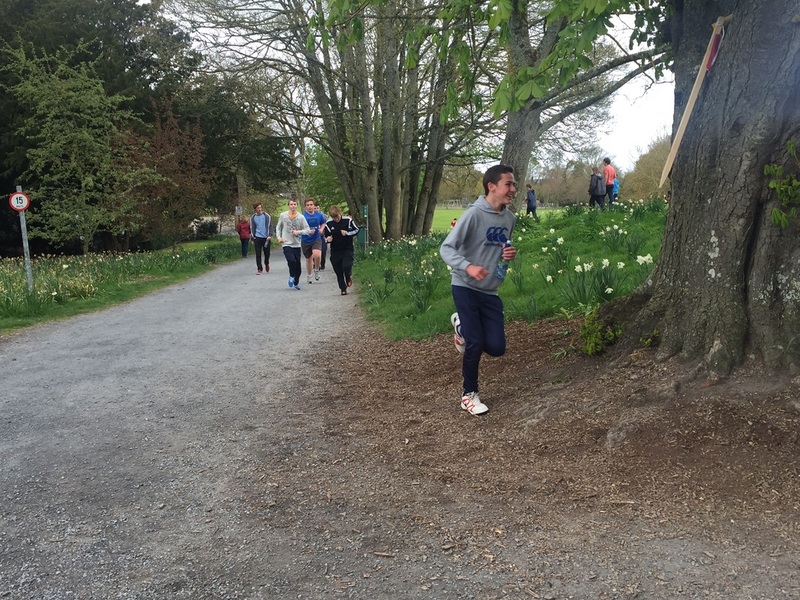 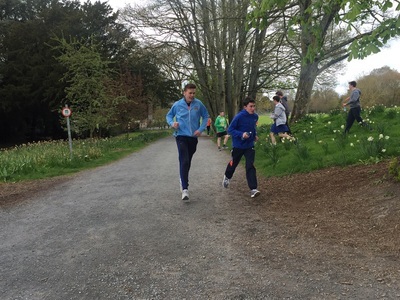 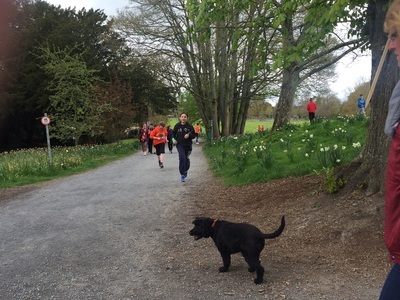 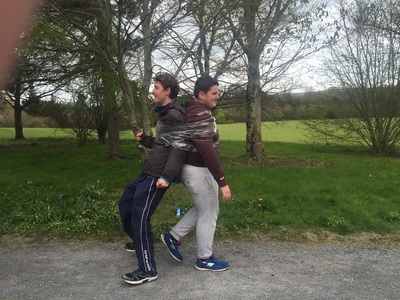 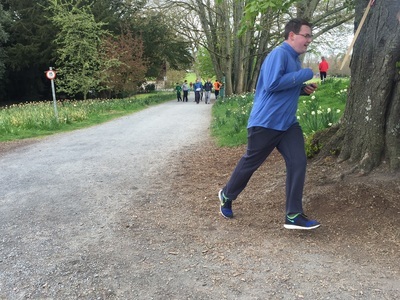 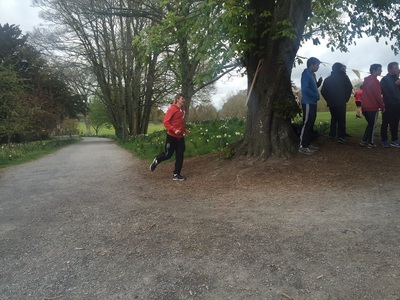 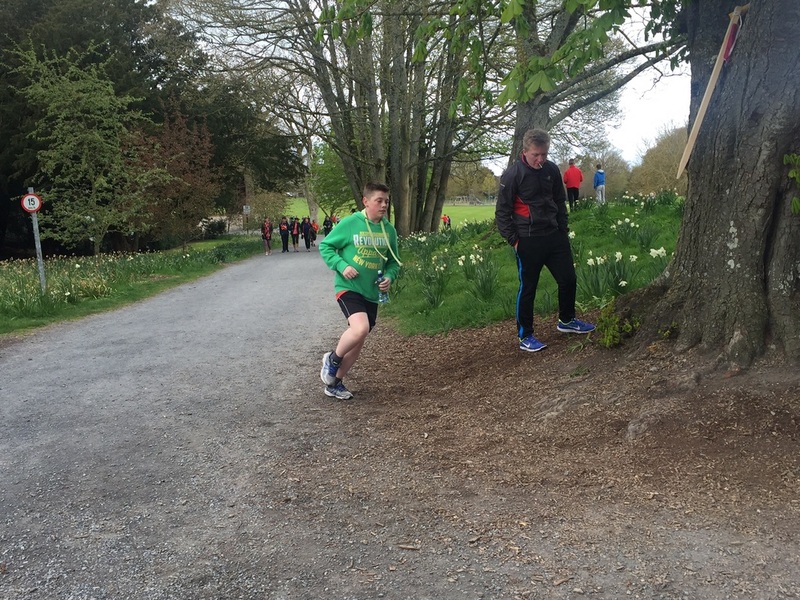 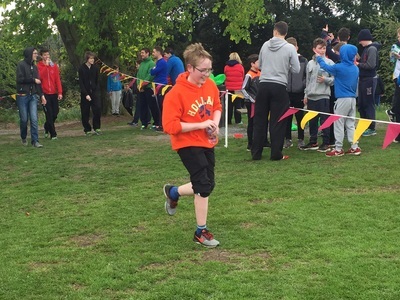 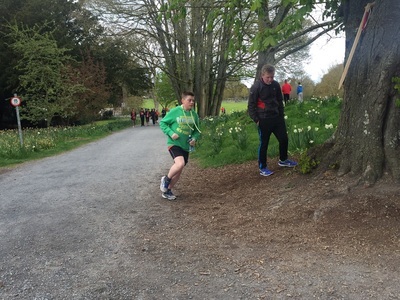 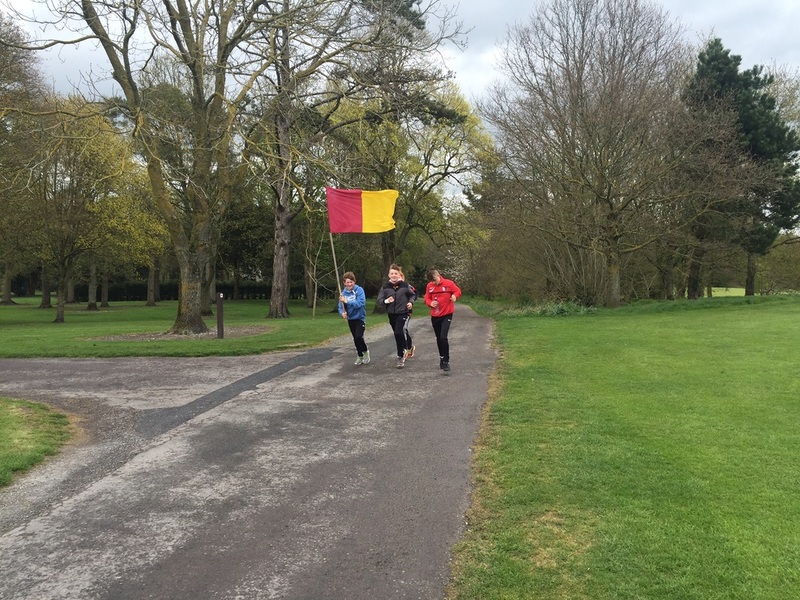 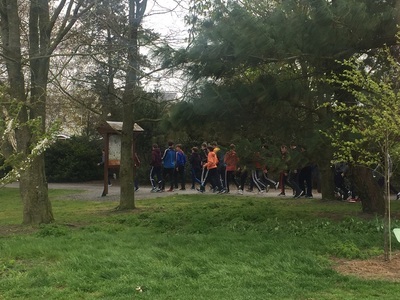 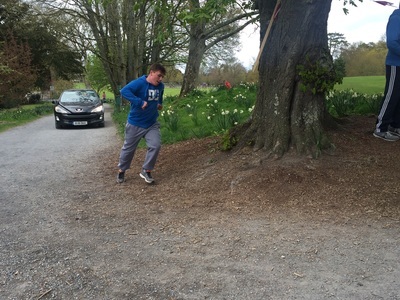 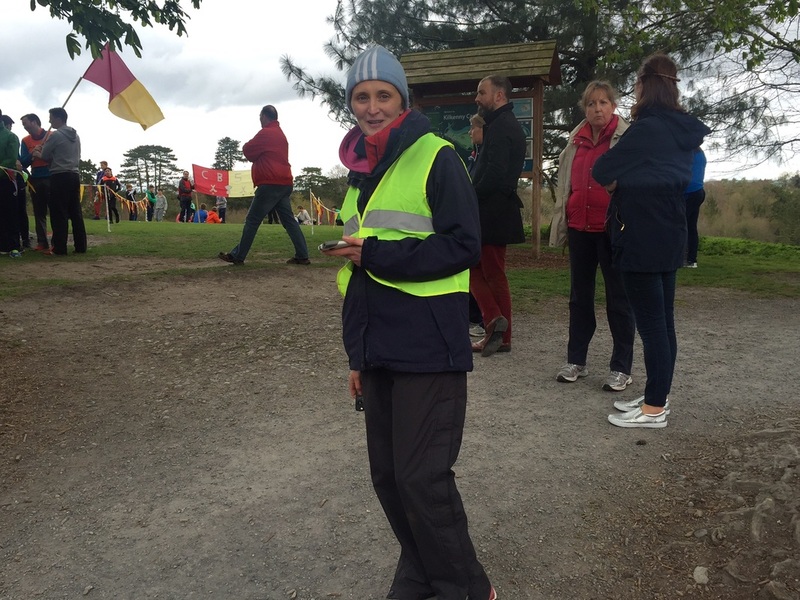 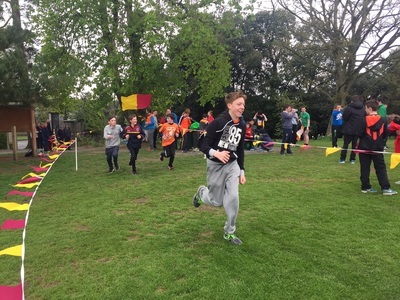 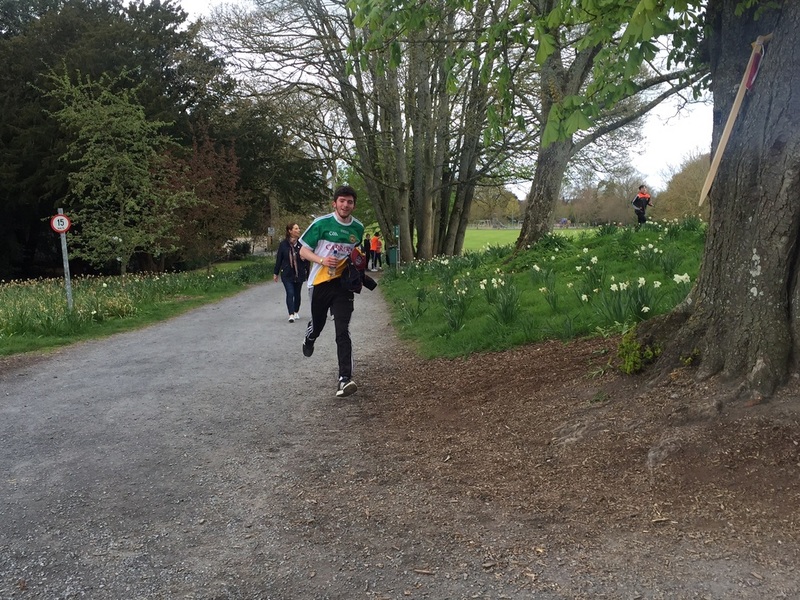 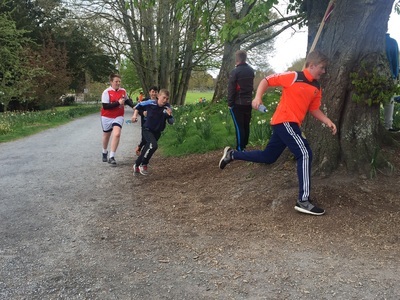 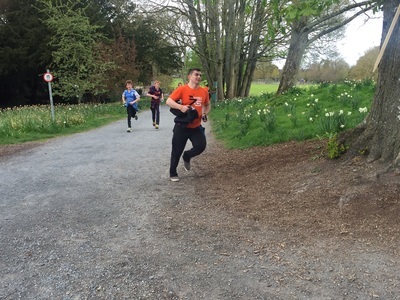 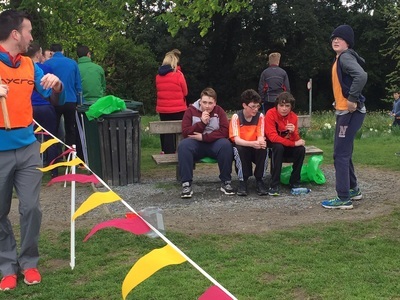 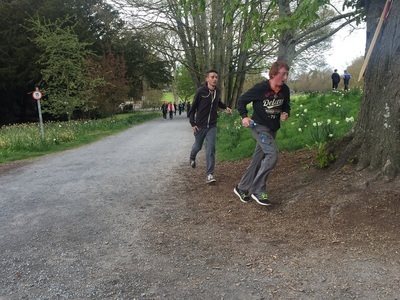 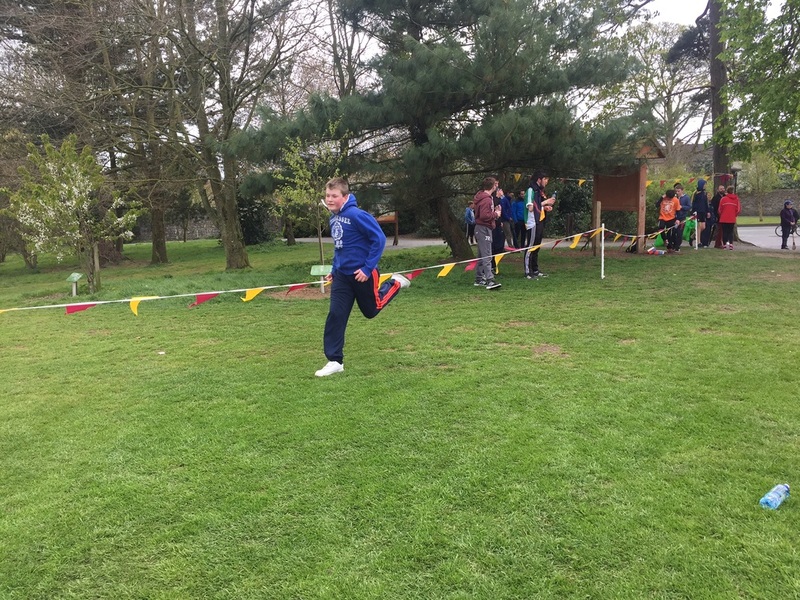 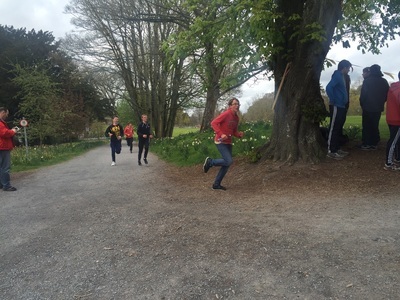 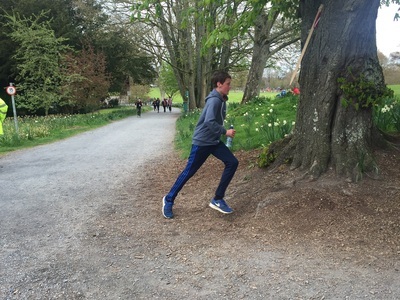 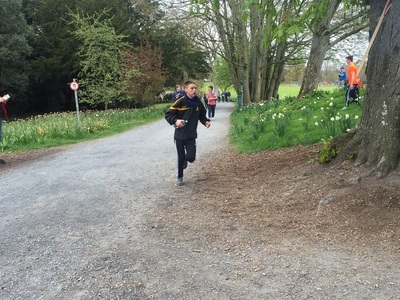 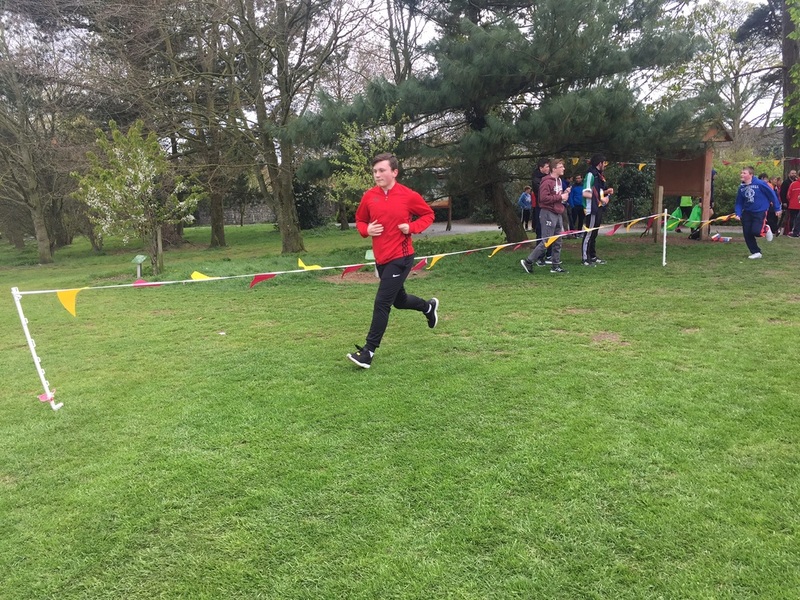 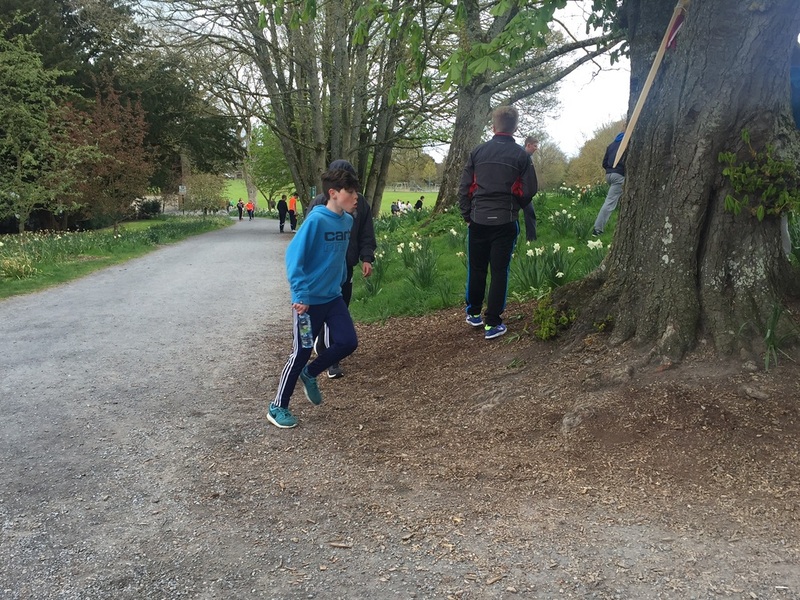 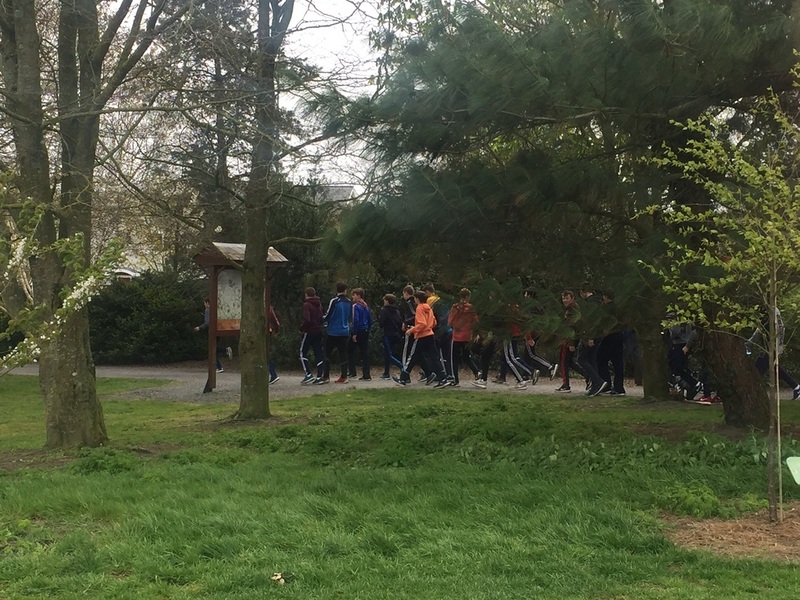 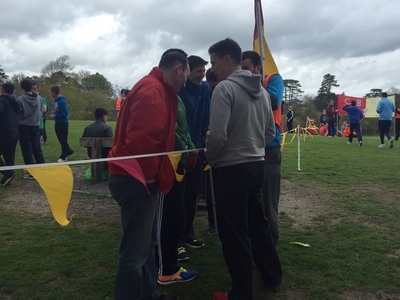 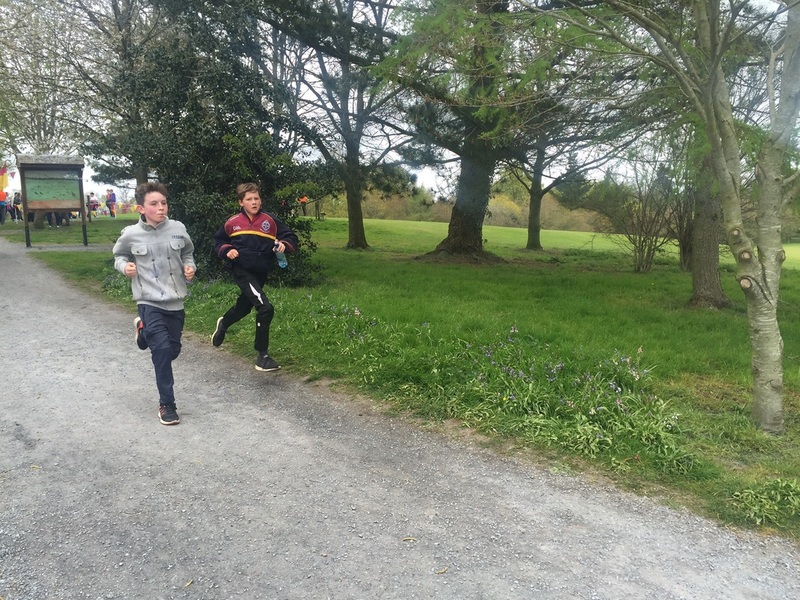 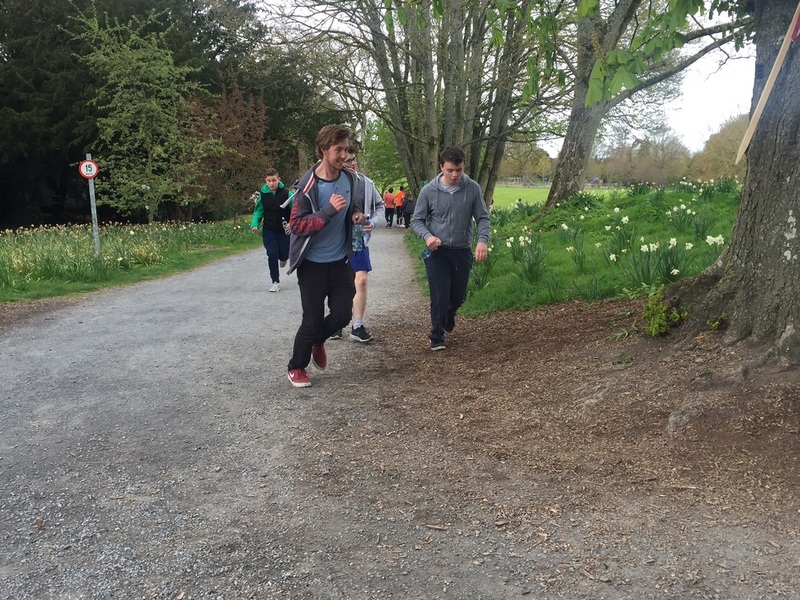 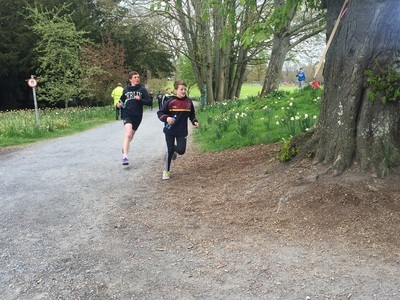 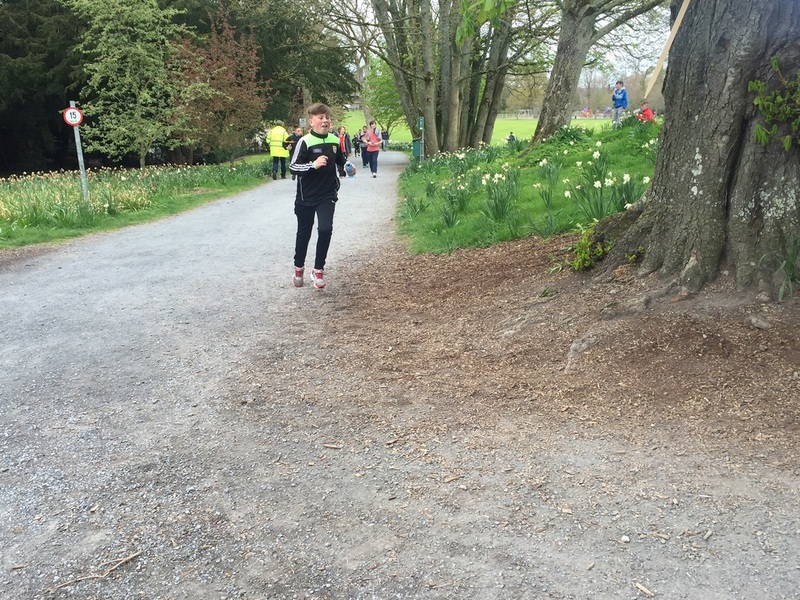 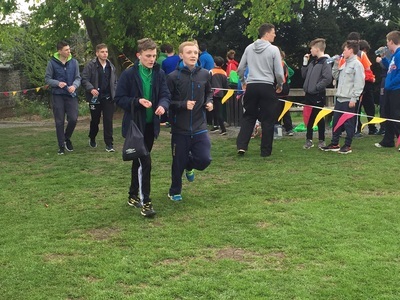 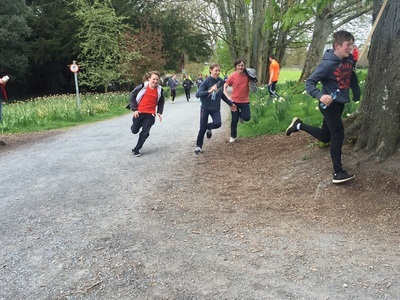 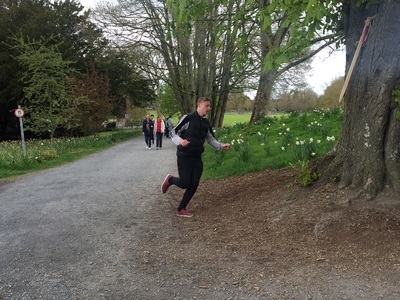 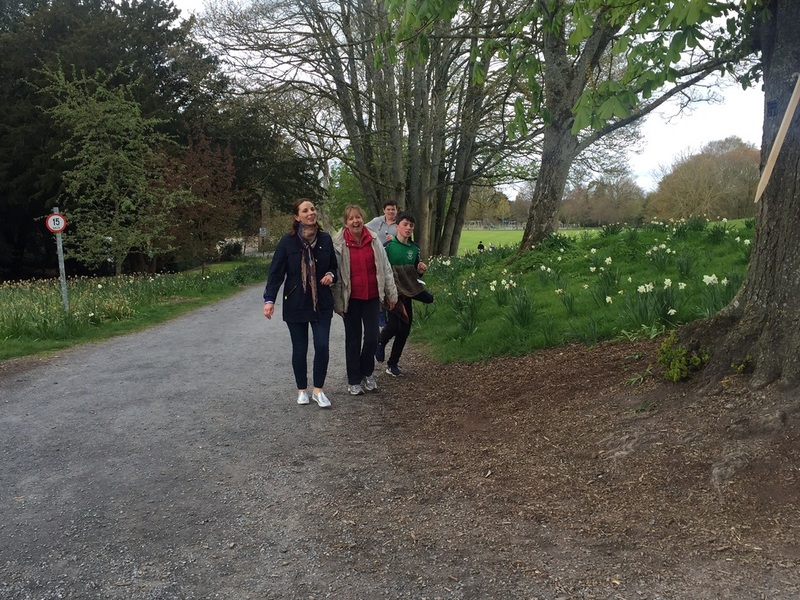 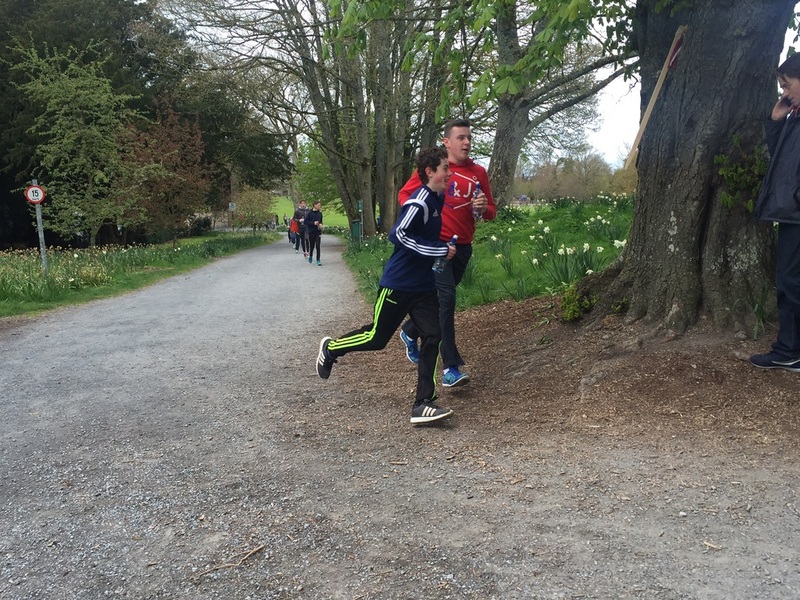 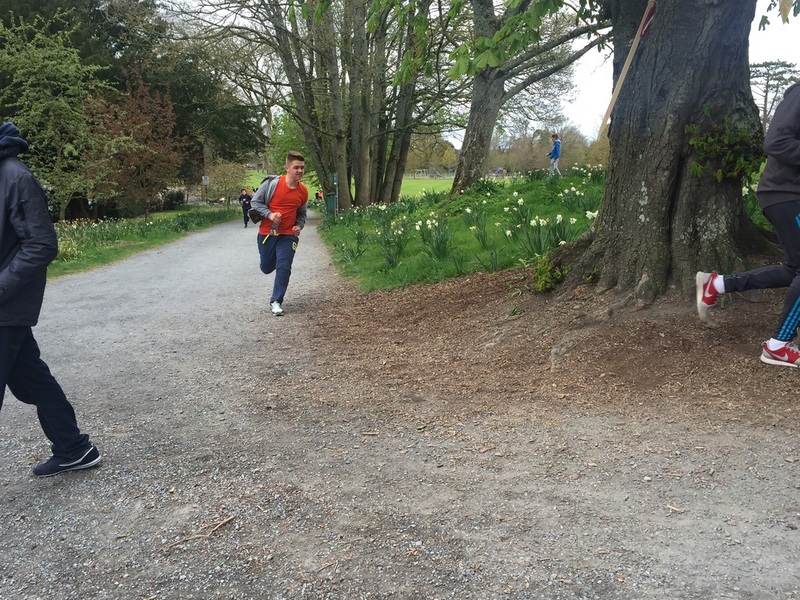 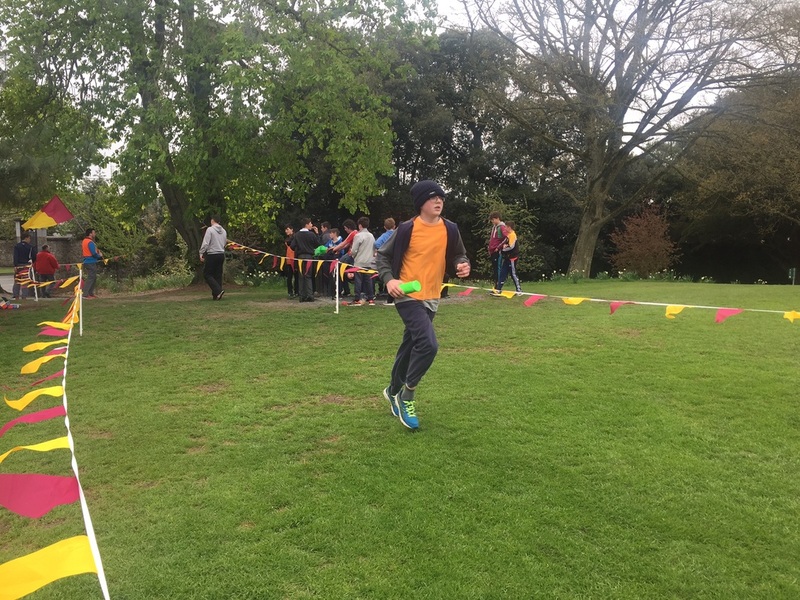 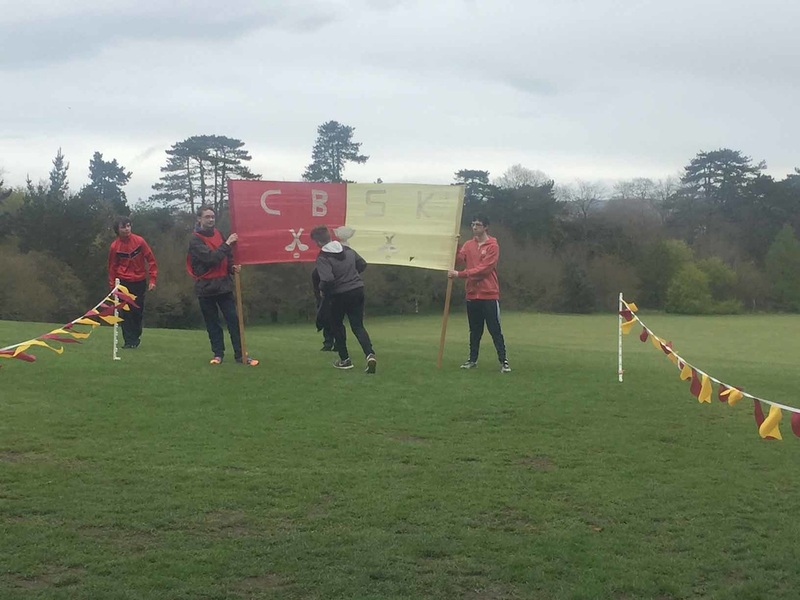 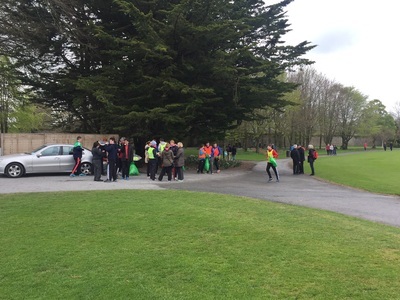 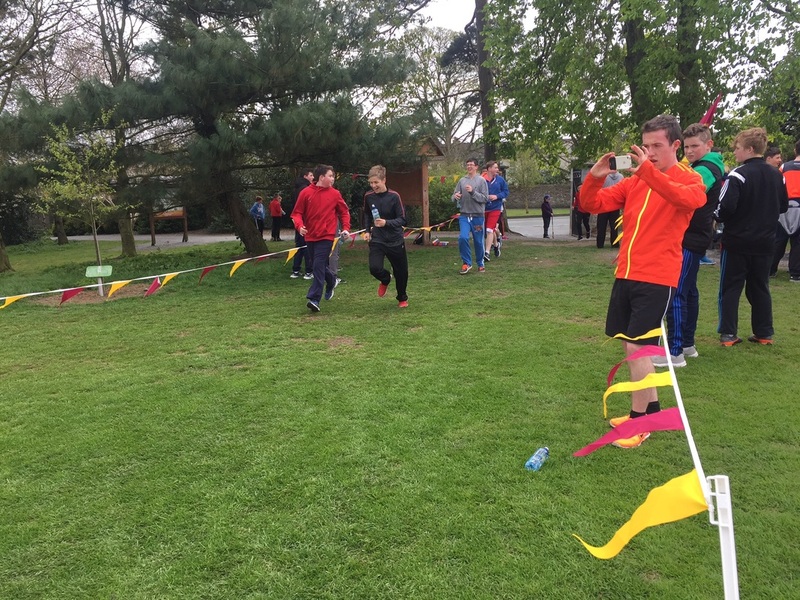 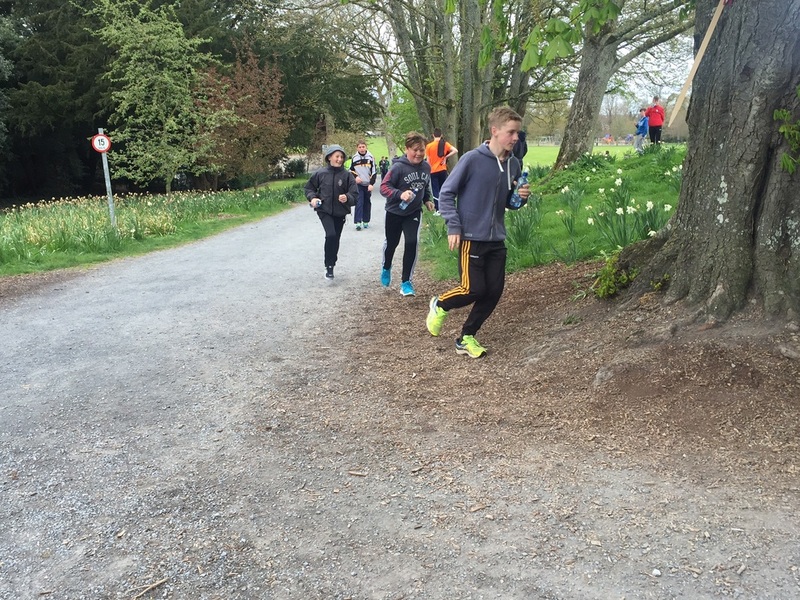 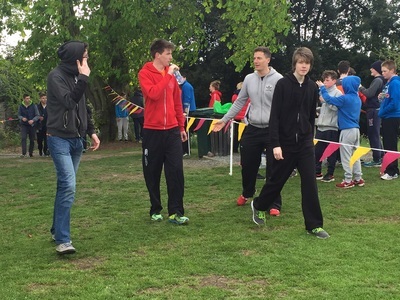 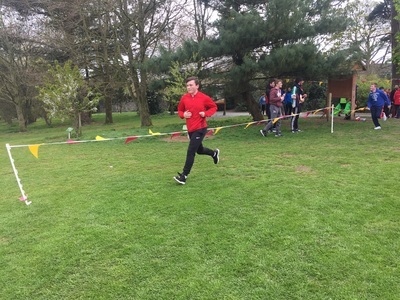 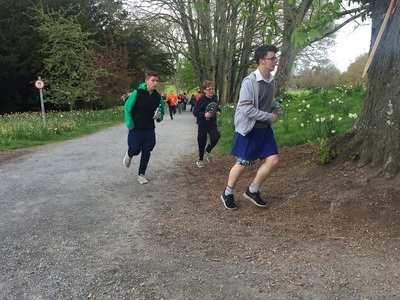 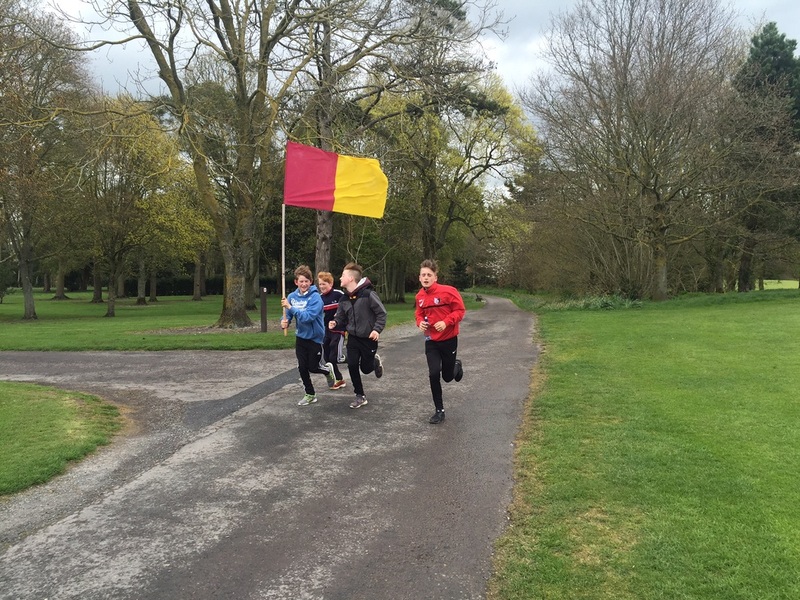 We had a very successful Fun Run in the Castle Park on Thursday April 28th 2016. 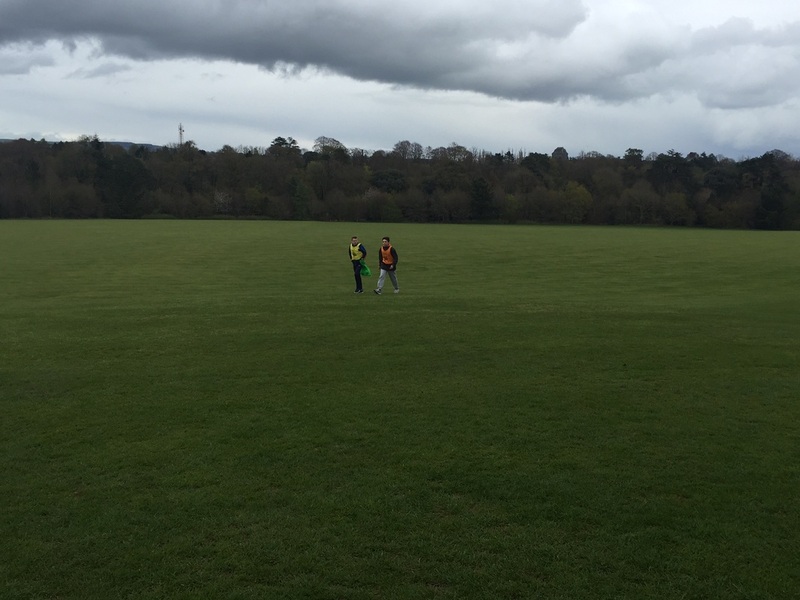 Despite dire weather warnings, we got lucky with a relatively fine window! 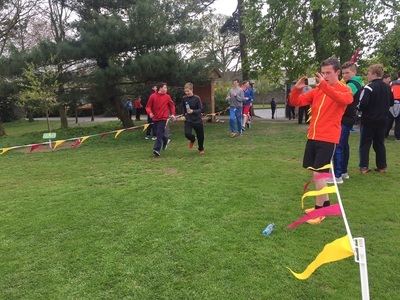 Students and teachers ran the 5km loop in record time. Jack Gargan was first to finish the timed run in 19.38 - fantastic run in terrible conditions! 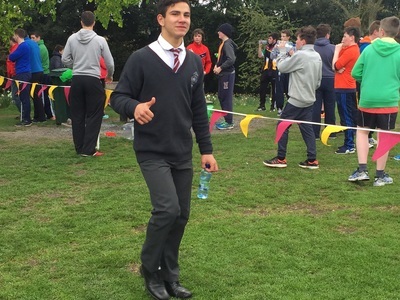 The annual event is a very important fundraiser, with all proceeds going towards sports equipment in the school. 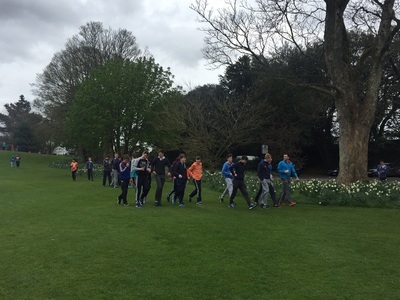 So it is fitting that this event closes out a very full Mental Health and Activity Week. 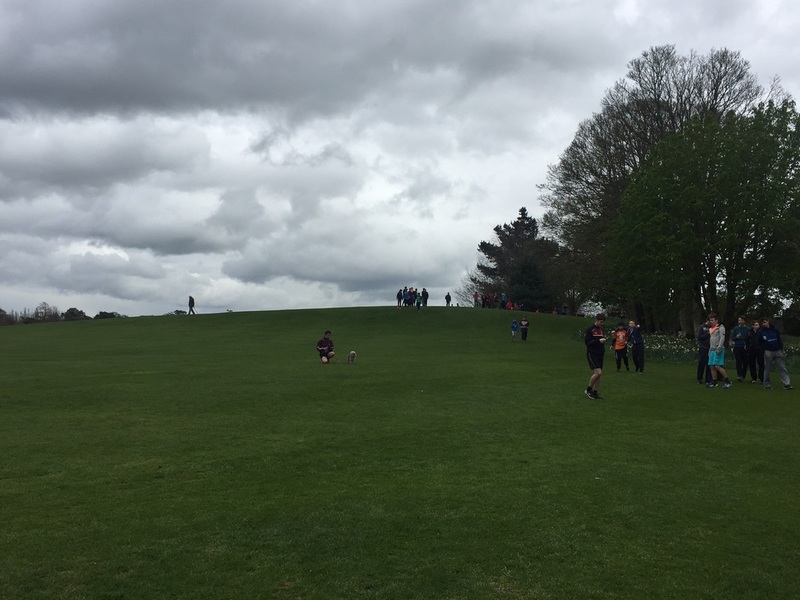 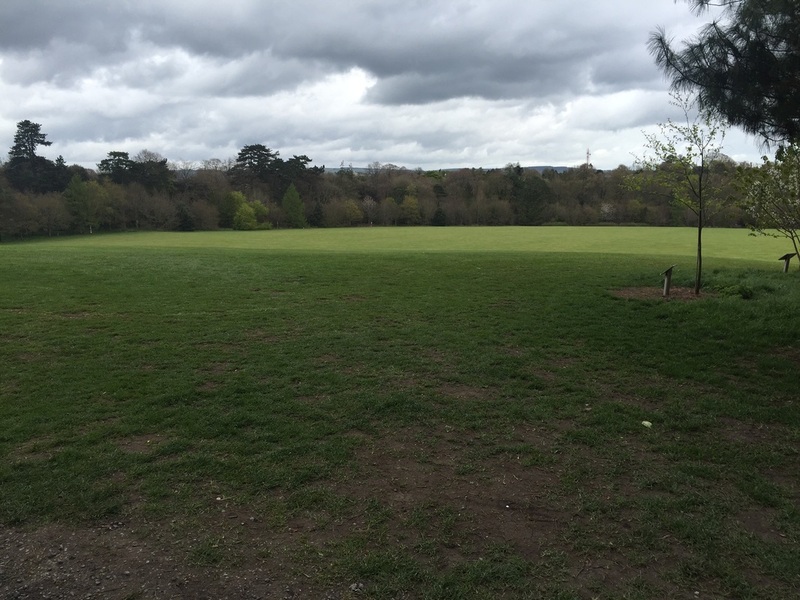 Many thanks to all the organisers and their student helpers who did a terrific job leaving the Park in perfect condition too! 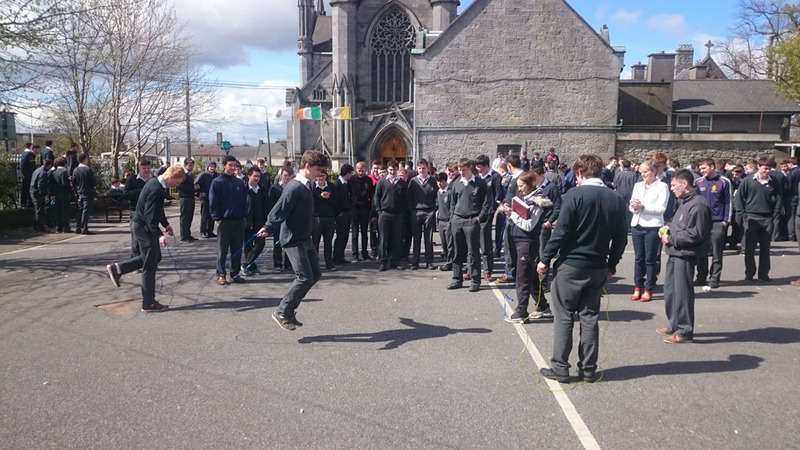 This year, Mental Health Awareness and Active Week takes place in CBS from April 25th to 28th 2016. 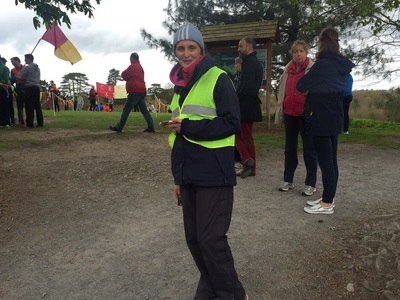 A wide range of activities have been arranged to promote the value of physical activity and to raise awareness around factors which promote mental health. 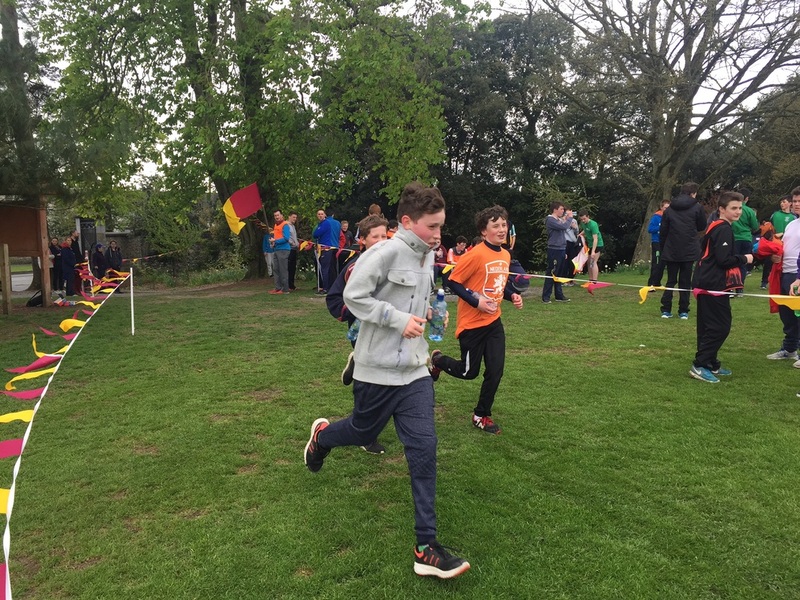 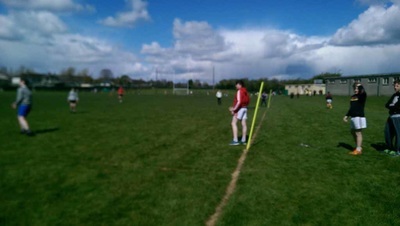 Among activities organised are; a whole school fun run in Castle Park, a first year soccer blitz and presentations from Aware and John Pridmore. 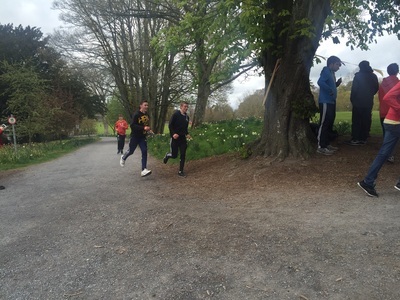 The Fun Run will happen on Thurs 28th from 13:40 to 15:40 at the Castle Park. This is always a very enjoyable day out for the whole school community. All students are asked to dress in orange if at all possible. 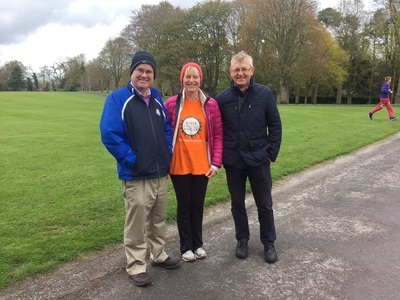 This is the colour of Cycle against Suicide, a campaign which is a terrific driver of initiatives which promote mental health in all, particularly in young people. 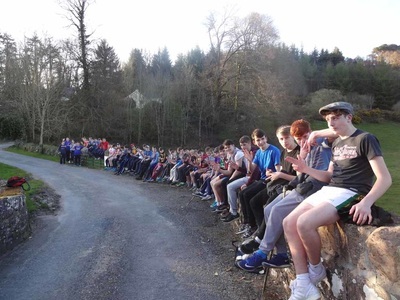 Fingers crossed that the weather is good! 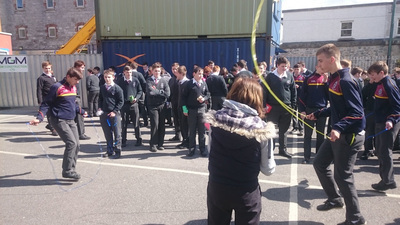 A lunch time skipathon was a great success! 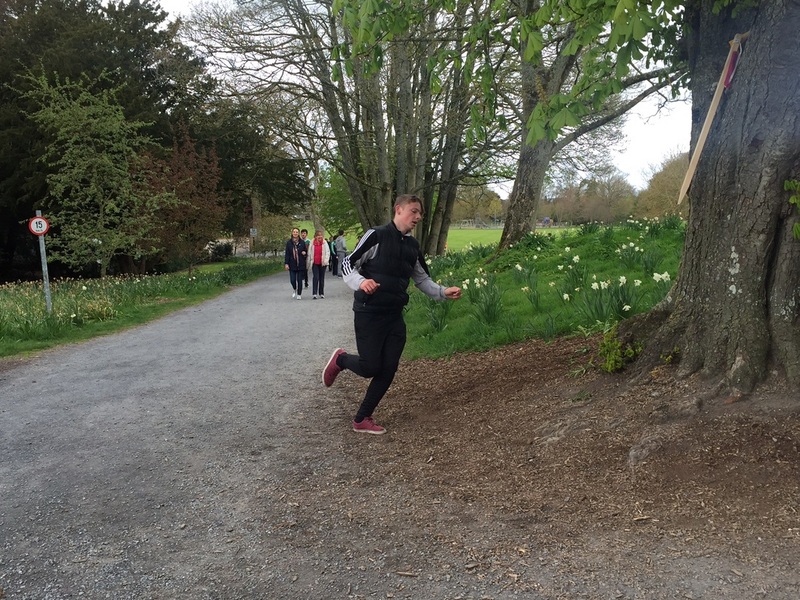 The competition was to see who could skip the most skips in 30 seconds, Jake Scanlon won, 94 skips! 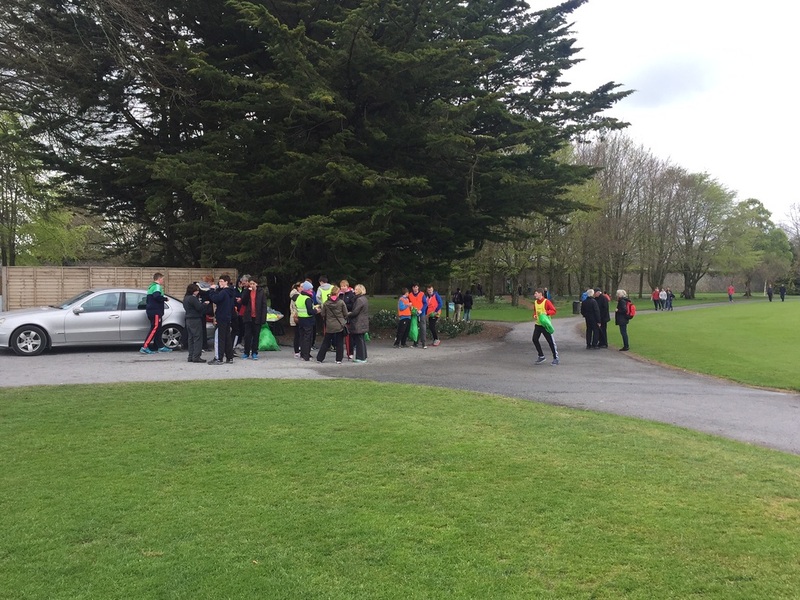 VERY impressive, great level of support and interest! 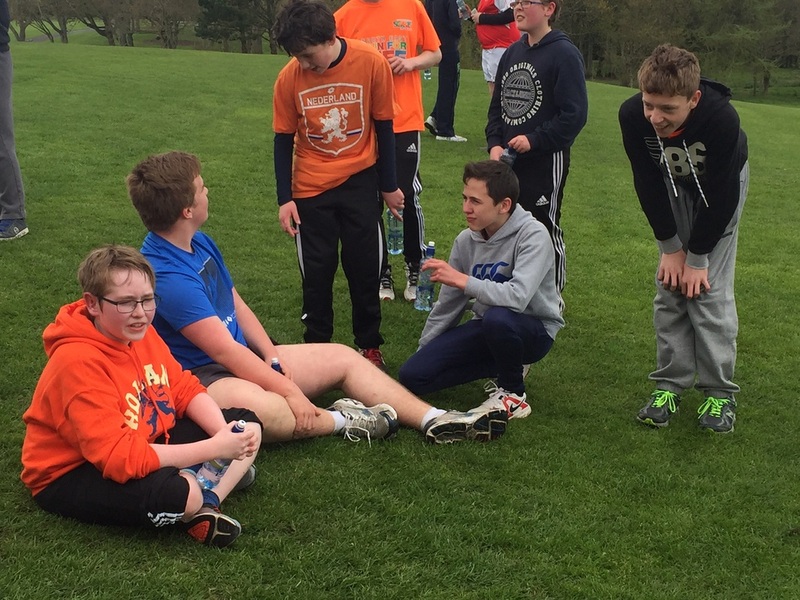 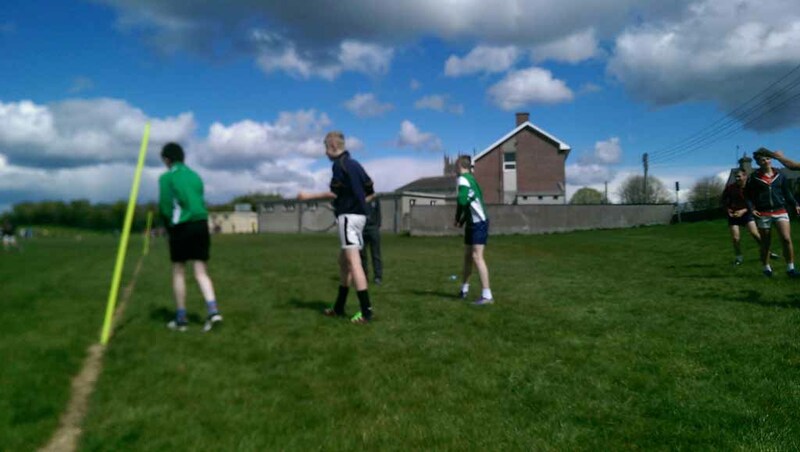 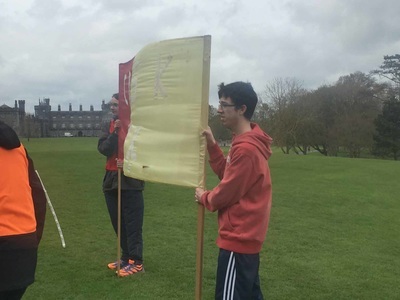 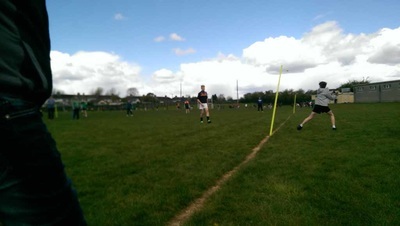 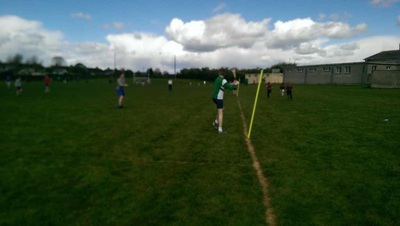 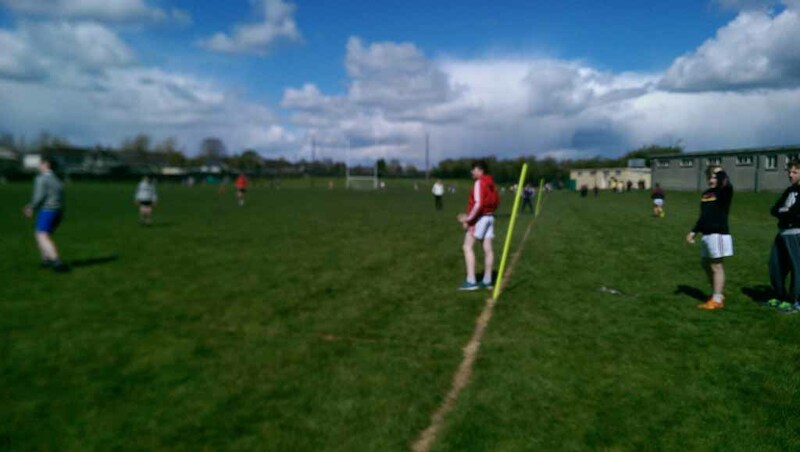 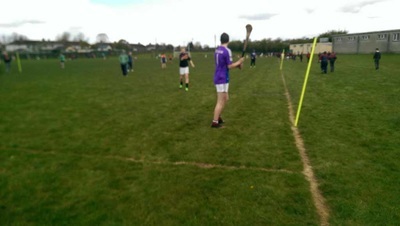 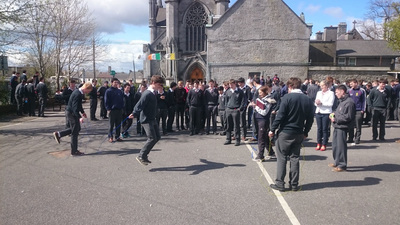 The second year students participated in an Inter-Class Rounders blitz. 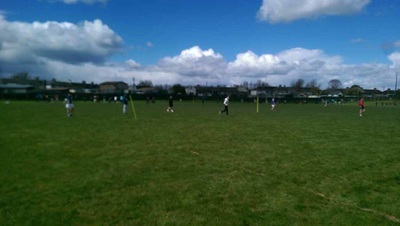 It was a thoroughly enjoyable afternoon with students displaying an impressive display of fielding and striking skills. 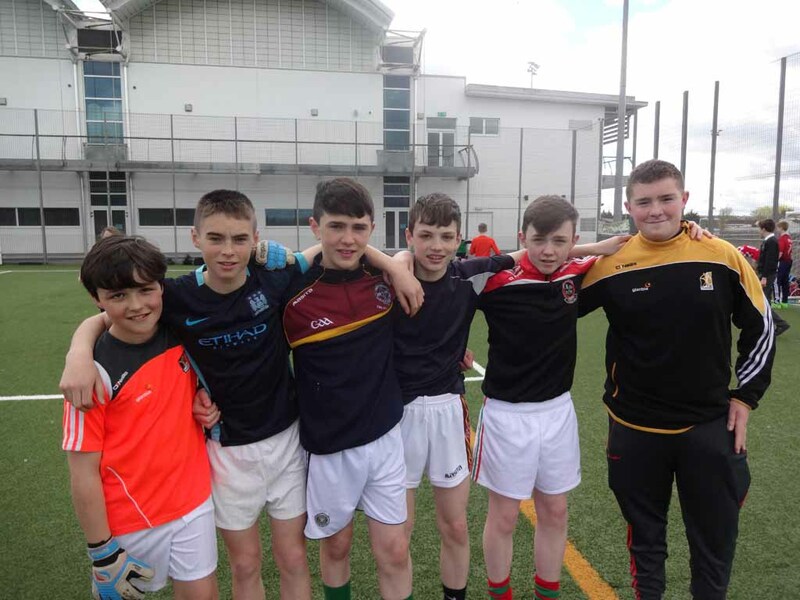 The winners and runners up in the first year soccer blitz. A great afternoon was had by all first years. Mr Stephen Dargan from Aware with 6th year students today. 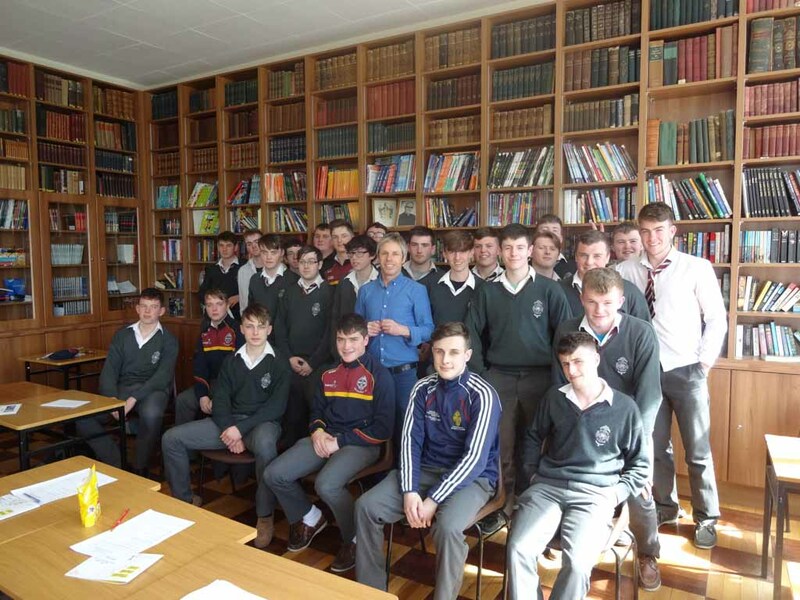 ​All 6th years attended very informative presentations by Mr. Stephen Dargan from AWARE to make them more aware of the importance of looking after their mental health. 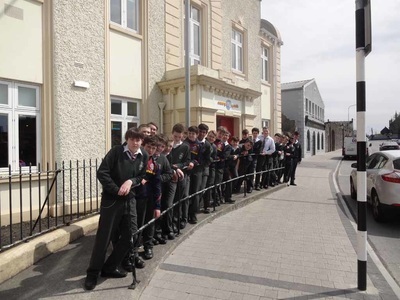 ​All second year students attended workshops on Building Resilience at Ossory Youth. These were delivered by Jacinta and Rebecca and the second years got great insights into how to improve their bounce-back factor. 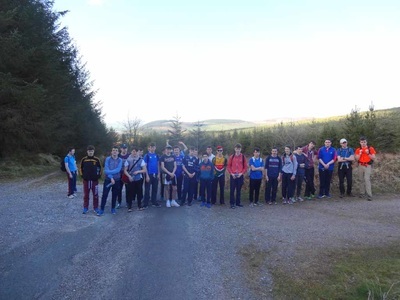 This photo shows the TY sports leaderships group and their trainer Mr. Seamus Nugent. 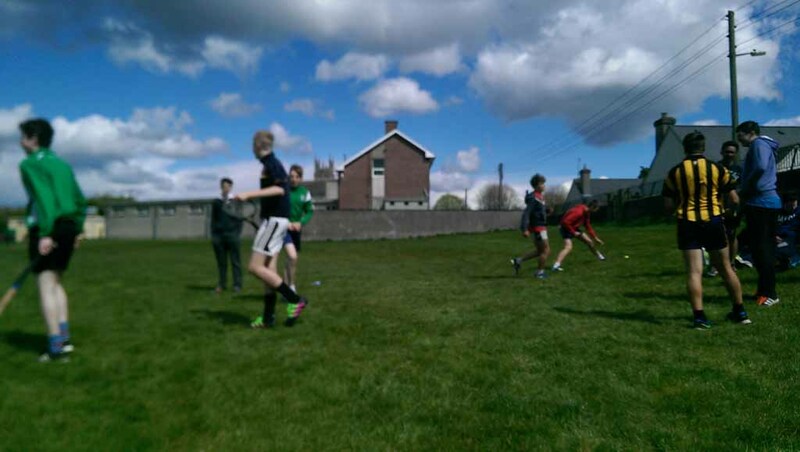 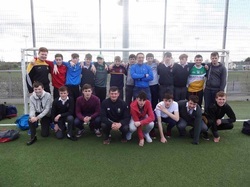 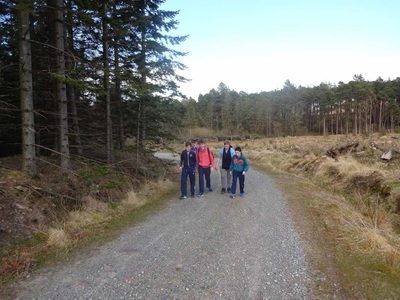 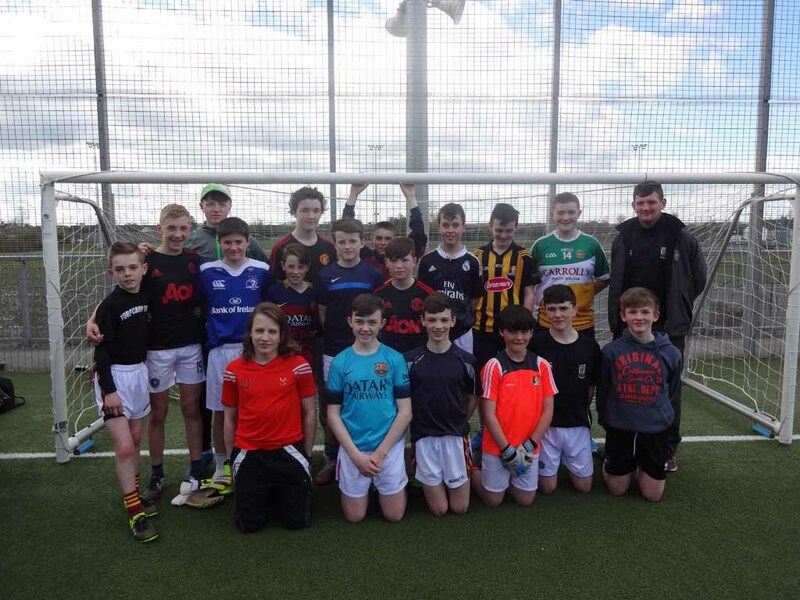 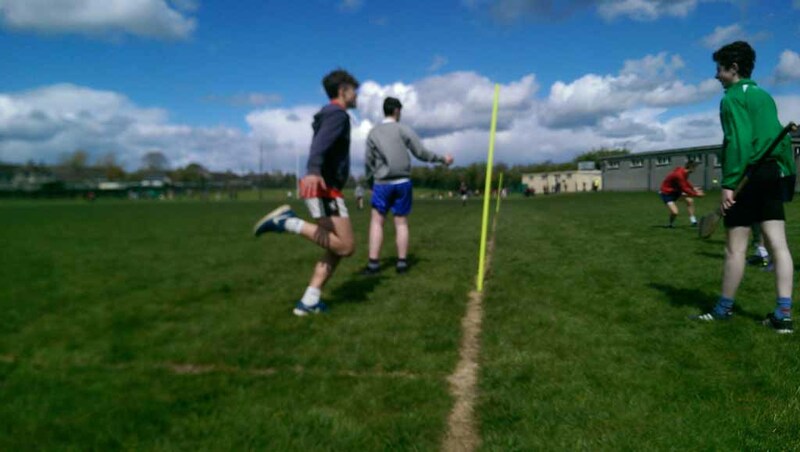 This group is nearing completion of their Sports Leadership training and organised a soccer blitz for all first years as part of Mental Health and Active week. 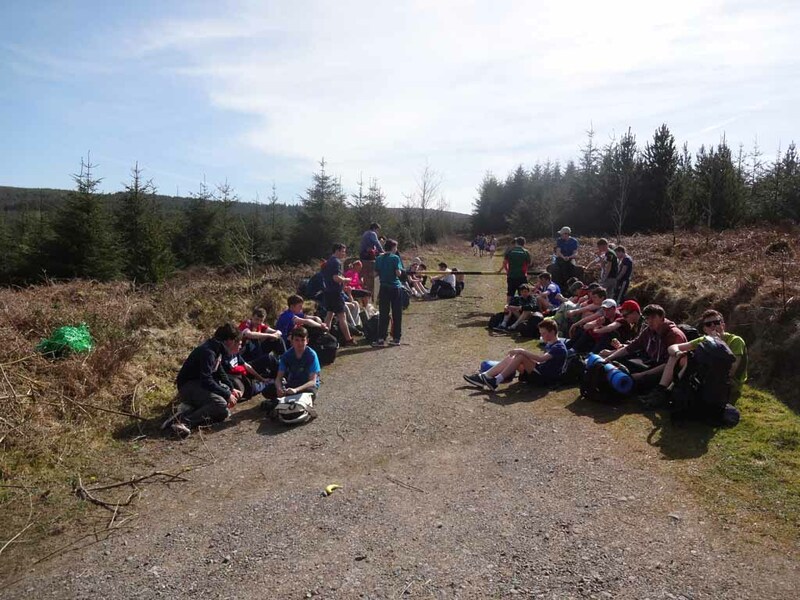 This was a great success and the enthusiasm shown by the TY team managers was amazing. 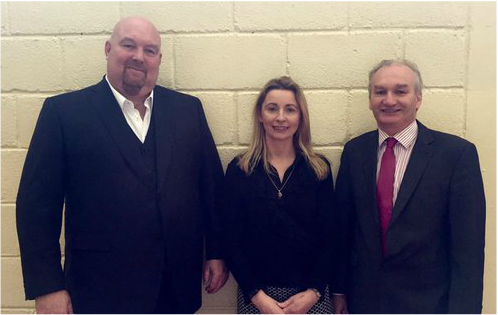 Mr John Pridmore spoke to TY, 5th and 6th year students about his life before and after finding God's guidance. 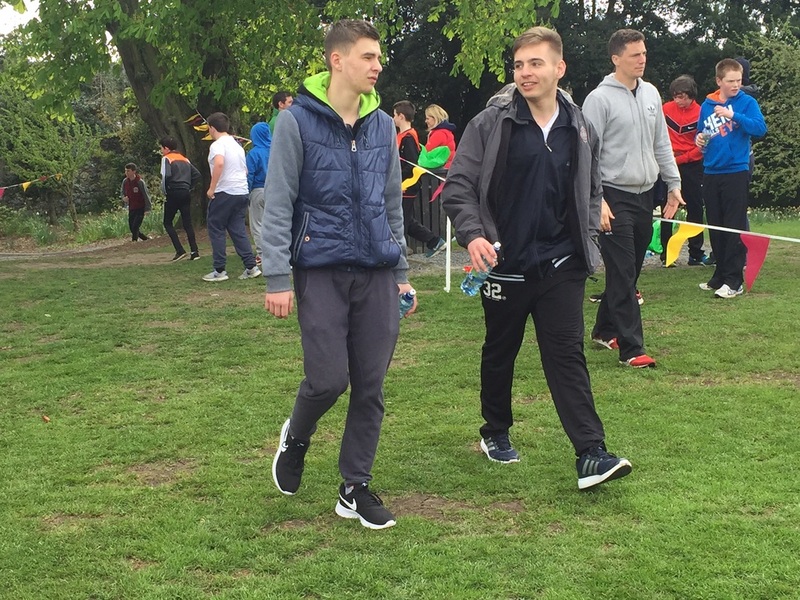 He was a major player in gangland London before he realised the error of his ways at the age of 27. 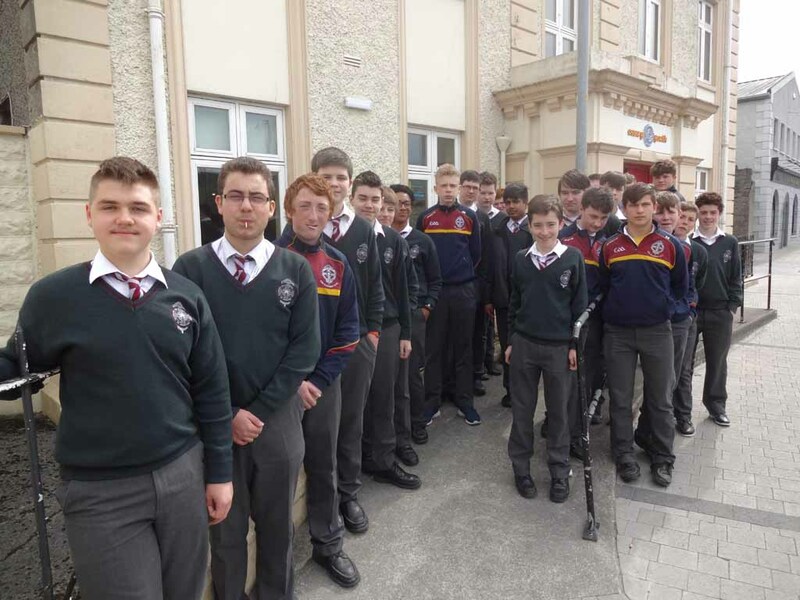 He has since become a very active member of the St. Patrick's Lay Community and visits schools to tell his personal story. 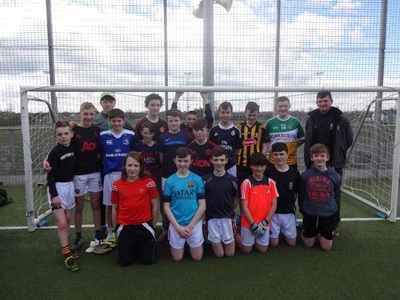 ​All 3rd years attended workshops given by Paul Bolger and David Gray of Ossory Youth and Mr. Kieran Scanlon. 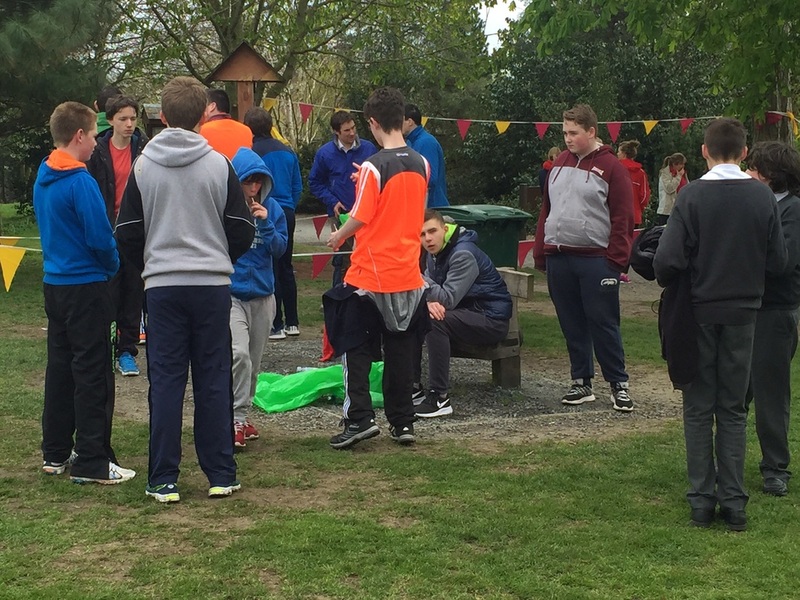 ​These workshops were designed to encourage this age group to look after themselves and their friends as they move on in their teenage years. 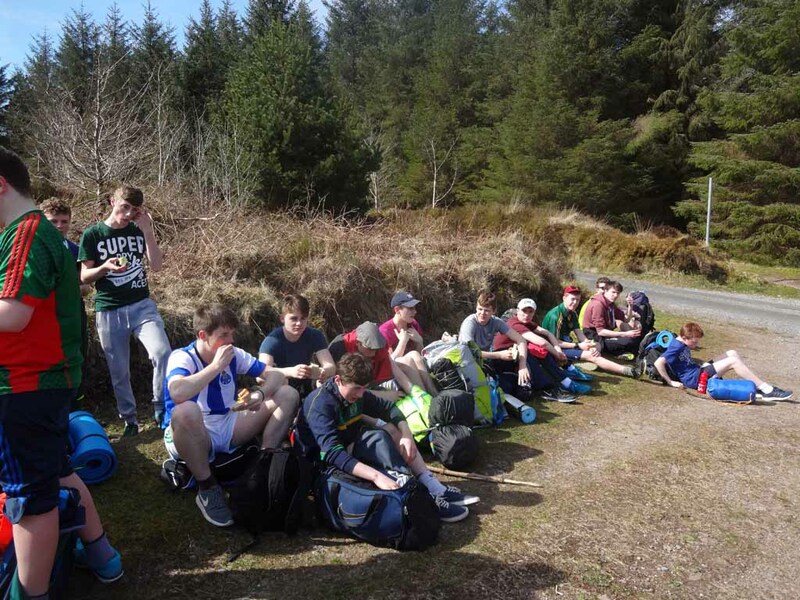 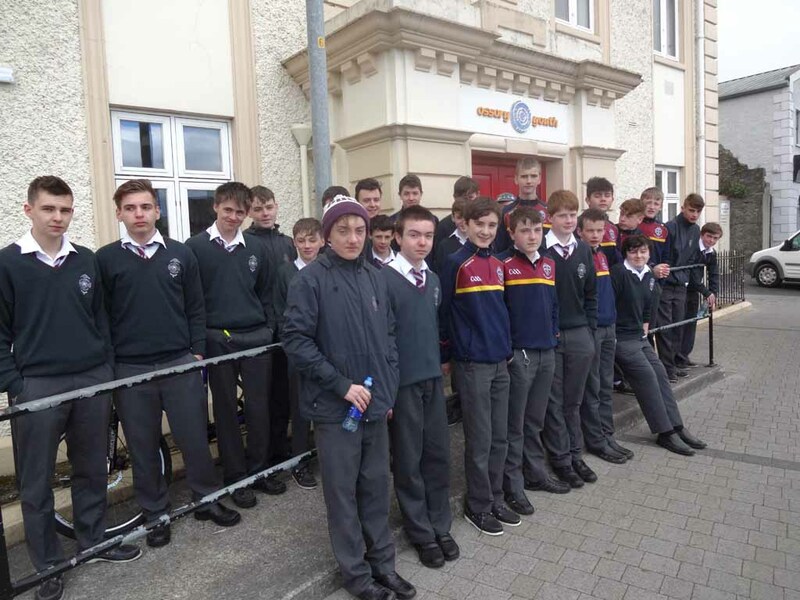 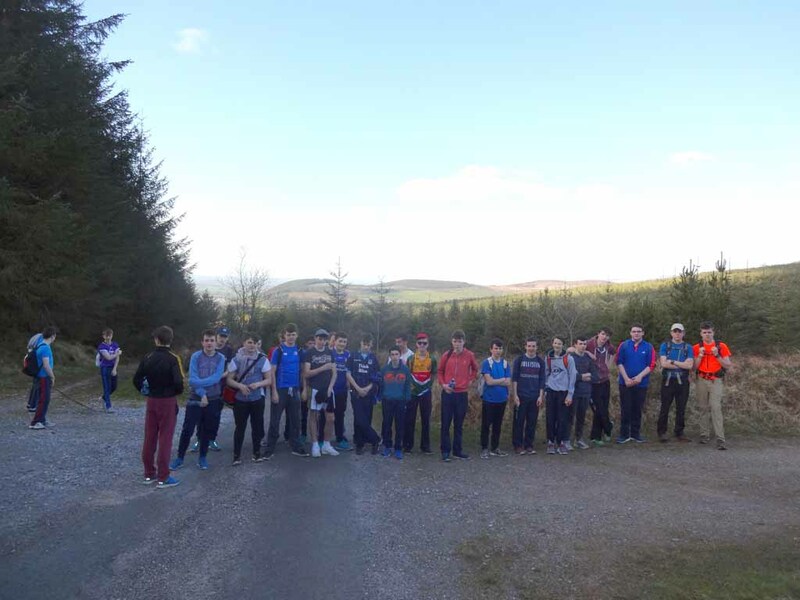 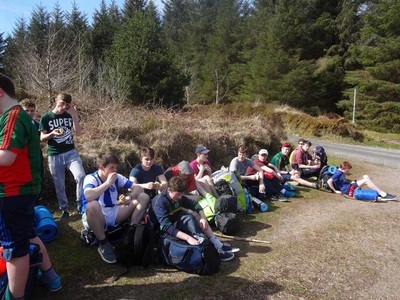 Gaisce group outside the hostel in Ballymacarbry where they stayed while on their Gaisce Adventure Journey.